Cologne - There was very little in the way of goal-mouth action in 1. 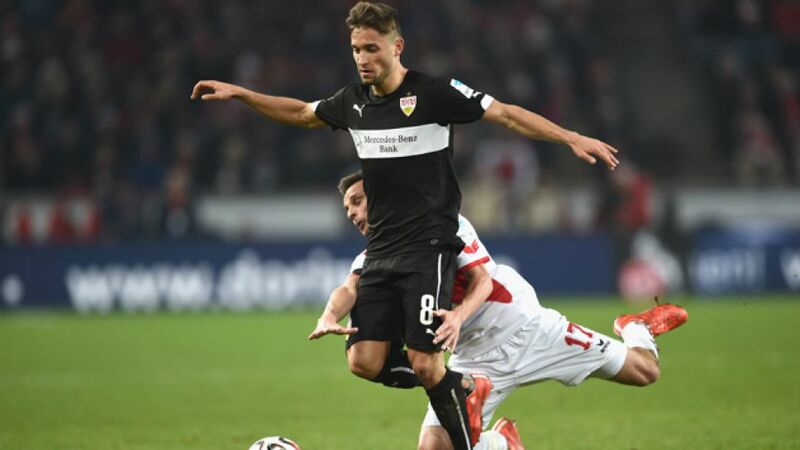 FC Köln's goalless draw with VfB Stuttgart on Wednesday evening, but neither team was too dissatisfied with a share of the spoils after a closely-fought encounter in Cologne. Kevin Wimmer: "When we're at home, we struggle to create goalscoring opportunities against teams who sit back and defend. Having said that, we have to improve our build-up play." Moritz Leitner: "It was a difficult game for us. First and foremost we're happy that we kept a clean sheet. We showed that we're a close-knit bunch and want to fight as a team, and we want to show that in our coming games too. We'll keep working hard to improve our attack and start scoring goals again." Martin Harnik: "It was a tough match for our attacking players, because we were focused on being resolute defensively to stop them creating chances. That affected us at the other end, so it wasn't an easy game." Timo Werner: "The most important thing for us today was to be tight defensively. If we had conceded, it would have been difficult for us to get something from the game. At the end of the day it was an even game with few scoring chances, so a 0-0 draw was probably a fair result."